It’s summer, so we all know what that means: Barbecues, picnics, and dinners outdoors under the stars. But no matter what your BBQ needs are, it’s always good idea to have an action plan for grilling. 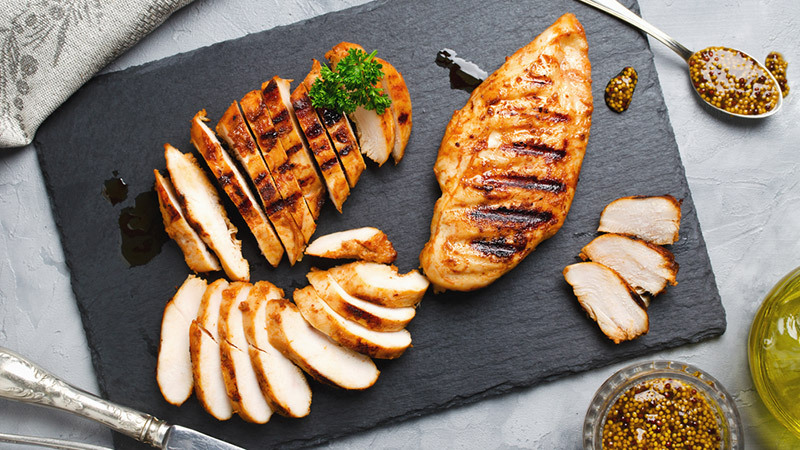 It can be incredibly easy to go overboard with the heavy meats, cheeses, white breads, caloric snacks and big desserts that are so often barbecue staples, but it’s surprisingly simple to have a healthier barbecue. With just a few of these simple swaps, you can learn to enjoy guilt-free grilling. Is it really a barbecue if you can’t have your high-fat burgers, ribs and sausages? If you think the only way to enjoy a grilled meal is to go all-out with the heavy meats, think again. There are tons of tasty veggie options out there, but if you’re not ready to give up your carnivorous ways, don’t worry: you can have your meat and eat it too if you stick to leaner meats. Opt for chicken, fish, and turkey sausage as yummy alternatives to the usual heavy stuff. The food will still be delicious and you’ll feel better after eating it. Whenever it’s an option, pair your burger with a whole-wheat bun for added nutrition. 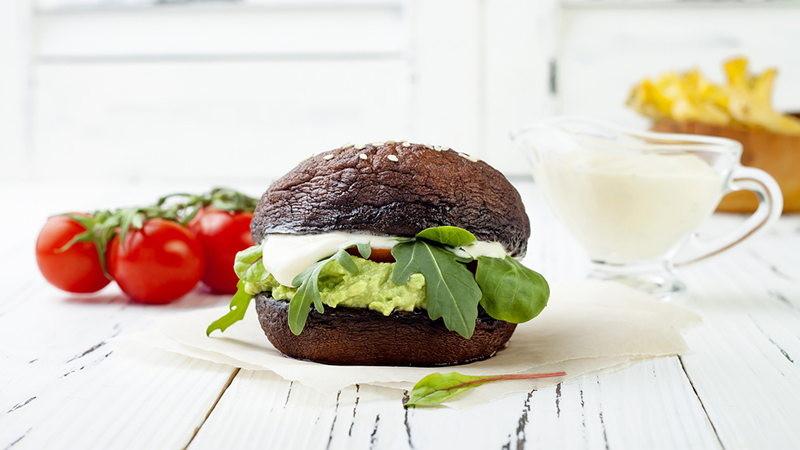 If you’re watching your refined carbs, however, feel free to skip the bun altogether and wrap your grill in iceberg lettuce or portobello mushrooms! Veggies so often get relegated to cold side dishes, but there’s no reason they can’t get in on the grilling fun. Try grilled vegetable skewers, Portobello mushrooms or eggplant if you’re looking for veggies with a meatier texture. 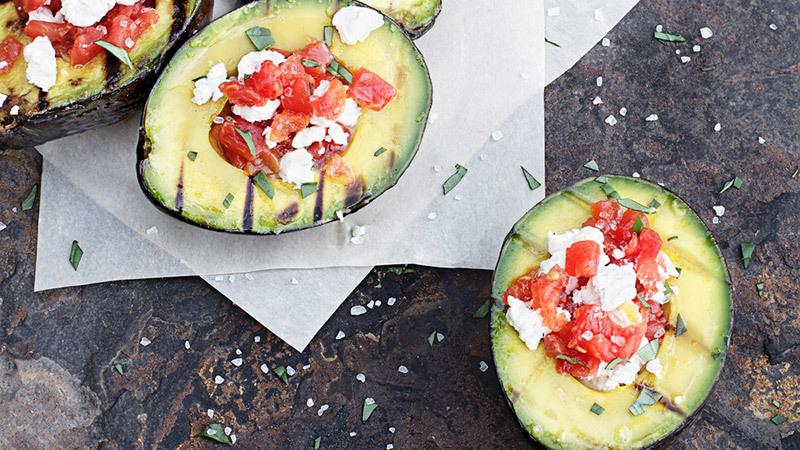 This recipe for grilled avocado stuffed with lentils and goat cheese is amazing for when you’re in the mood for a vegetarian dish that’s equal parts healthy and indulgent. You can make all the healthy food choices in the world, and then sabotage them with a few dollops of heavy sauce or dips. 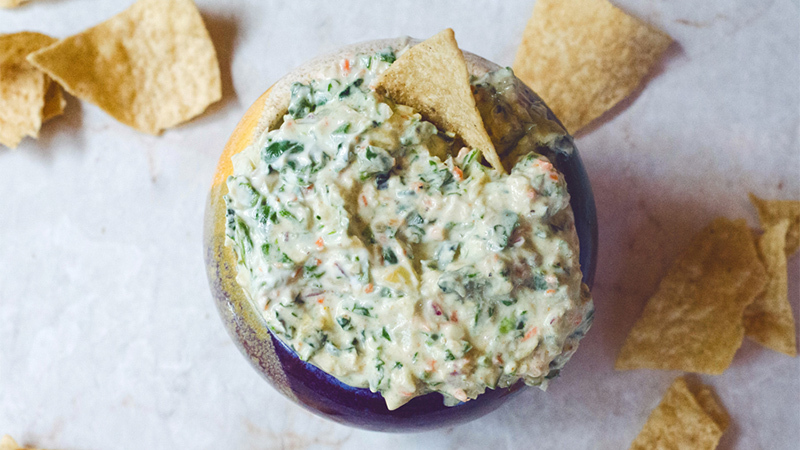 Thankfully, there are plenty of ways to “hack” your dips with healthier ingredients, like Greek yogurt or hummus-based dips. There’s no need to bring out the cakes, pie and ice cream. Keep your desserts simple and healthy by simply grilling up some fruit. 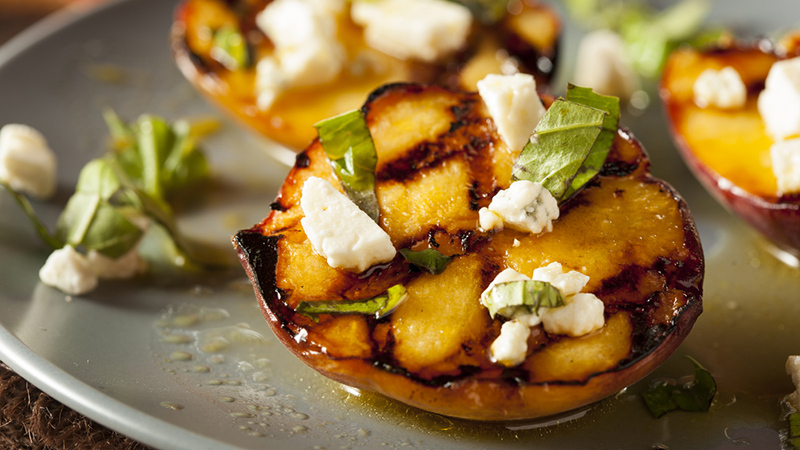 If you’ve never tried grilled peaches or pineapple, here’s your chance. Slice up your fruit, brush it with honey and lime juice, throw it on the grill, and prepare yourself for an incredibly flavourful way to end the meal. Before loading up on the heavy beer and sugary mixed drinks, consider making a few ingredient swaps so you can enjoy a drink or two without filling up on calories. 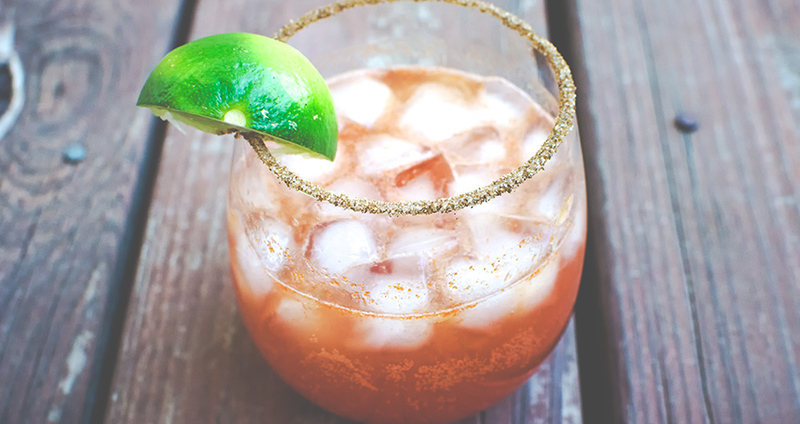 Here’s a list of some of the healthiest cocktails you can make that won’t ruin your diet. 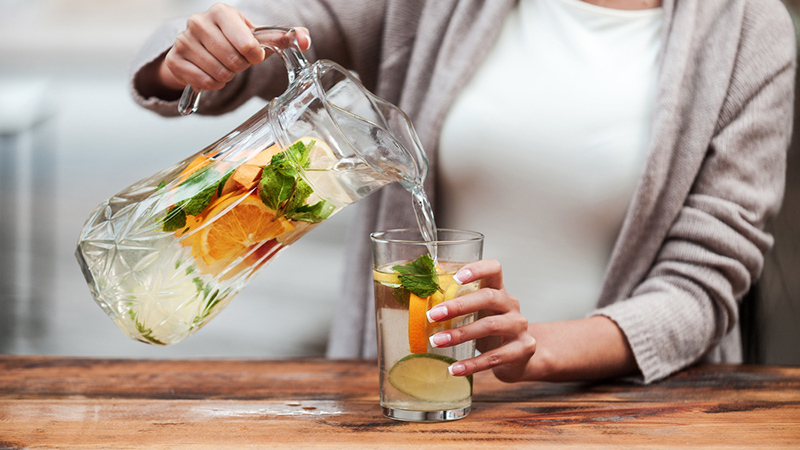 Skip the soda and stick to water to stay hydrated and satisfied. Throw a few slices of fruit into your water glass or try sparkling water to create a delicious and exciting detox drink for all your guests. Lastly, make sure you’re having a glass of water for every cocktail and up your water intake even more if it’s a hot day. If you’re used to going all-out at cookouts, try focusing on a few small healthy swaps and don’t overthink things. Go for the green salad over the mayo-drenched potato salad, choose veggies and salsa over chips and sour cream dip, and most of all, be present in the moment and enjoy the wonderful time you’re able to spend with the people you love.